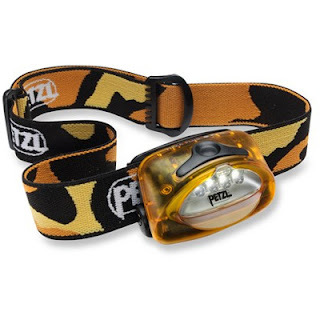 My Petzl headlamp has served me well over the years but this morning I was ready to toss it into the trash. This unit (Tikka Plus) is extremely lightweight and I often forget that I'm even wearing it. But the light weight comes at the cost of fragility. The plastic assembly doesn't secure the three AAA batteries in position very well and slight movements will occasionally disrupt the connection and cause the lamp to go dark. This morning it took me over five minutes to get it operational, time that's much too precious to waste in the morning. Once I was confident that the lamp was working properly I set out for my run in temperatures that felt far colder than the reported 45°. I immediately regretted not having gloves, but I had a long sleeved jersey that I pulled over my hands. That helped a little, but it caused my shirt to bind around my shoulders and I soon abandoned that solution. I'll plan to bring gloves tomorrow unless it truly warms up as expected. 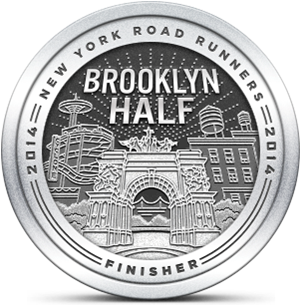 The run itself was great and I nearly broke 9:00/mile which is hard for me to do at that early hour. I'm toying with the thought of running in Central Park tomorrow. It's been a long time since I've done a city run and since Friday's the lead-in to a holiday weekend, my afternoon schedule is light. I'll decide tonight so that I'll have time to pack gear for the morning. If Friday is as cool and bright as today a CP run could be a great pre-weekend workout.